“Day of the Dead” Blu Ray is Zombie Paradise! Shout! Factory has done it again with their latest blu-ray offering, the 1985 George Romero classic DAY OF THE DEAD. 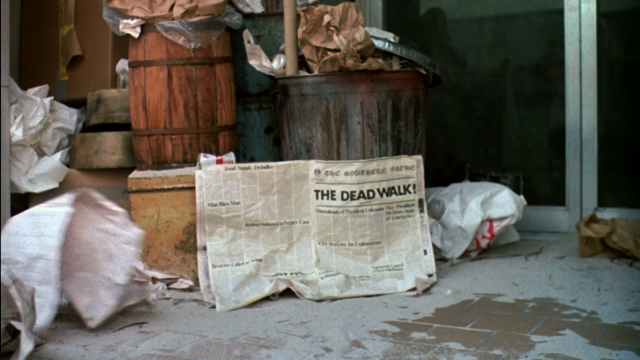 I have always been a fan of Romero’s Dead Trilogy, and to be honest, this is my favorite of the three and I was very excited to hear that it was finally getting its long-overdue blu-ray release. Of the three films this one, in my opinion, is the darkest and why it works so well. Most of the film takes place underground in an abandoned missile silo where a group of military personnel and scientists have gathered together to try and figure out what is going on above. The characters are perfectly cast and this film is interesting to watch as the group breaks down and collapses; much like the world on the outside did. You really get a sense of how bad things are in this movie whereas, in the two previous films, there seems to be actual hope. This is evident right from the beginning when a visit is made to Florida in search of survivors. The streets are empty and it’s obvious it has been this way for quite some time. The only signs of life are animals such as alligators and tarantulas who have now moved into the once-populated areas. The picture quality of this release is superb though I did notice two scenes in particular that seemed grainy. I checked these scenes out on the DVD release and it was the same way so I’m guessing it had more to do with the filming as opposed to the transfer. The movie still holds up very well and, after repeated viewings, I find myself liking it more and more each time. I think one of the reasons this film stands out for me is that over the years, I have met most of the cast as well as George Romero. When this film was released it received very mixed reviews, especially among the Dead fans. This for the most part has changed and people seem to be finally seeing this film for what it really is; a great chapter in zombie film history. I should probably add that people may respect this movie more because of how bad DIARY OF THE DEAD and SURVIVAL OF THE DEAD were. Upon meeting the cast it’s obvious how much they appreciate the fans of the film and they do love meeting us and sharing their stories. 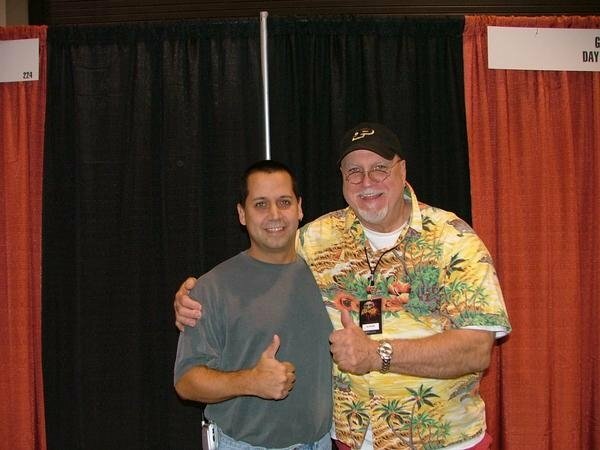 I have been fortunate enough to meet Lori Cardille twice and both times she was very charming. Interestingly enough, the first autograph I had ever gotten of her was received the old fashioned way: I found out her address and wrote her a nice letter requesting one. 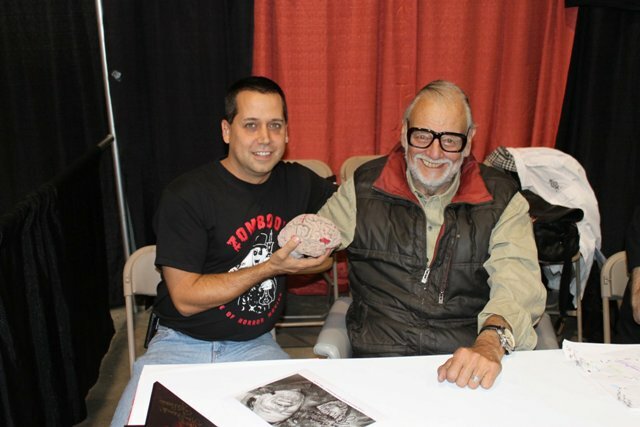 When I conveyed this story to her in Massachusetts at the Rock & Shock convention she said that she was actually surprised that I got one as she does not make it a habit of sending autographs in the mail. She also added that she was glad she did because if I had conveyed this story about writing to her and didn’t receive the autograph, she would’ve felt like a jerk. 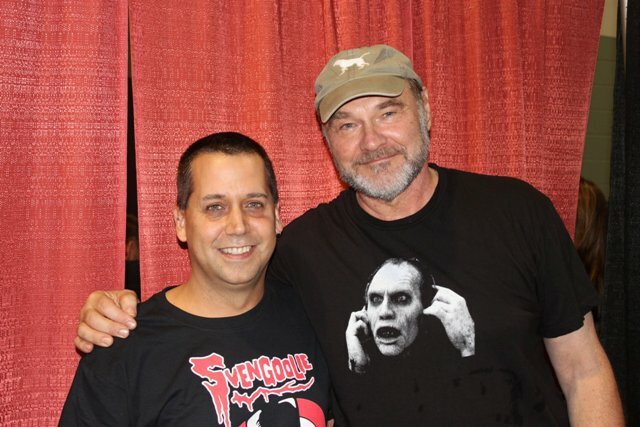 The second time I met her was at the HorrorHound Convention where there was not only a DAY OF THE DEAD reunion, but Lori’s father, Billy Cardille (Chilly Billy), was being inducted into the Horror Host Hall Of Fame; something neither Billy nor Lori knew anything. Though the Daves were not surprised by this, we did take the initiative to tell Lori about it and convince her to show up and receive the plaque. She readily agreed and, regardless of what your thoughts are on the Horror Host Hall Of Fame, her heart felt speech was the highlight of the event! 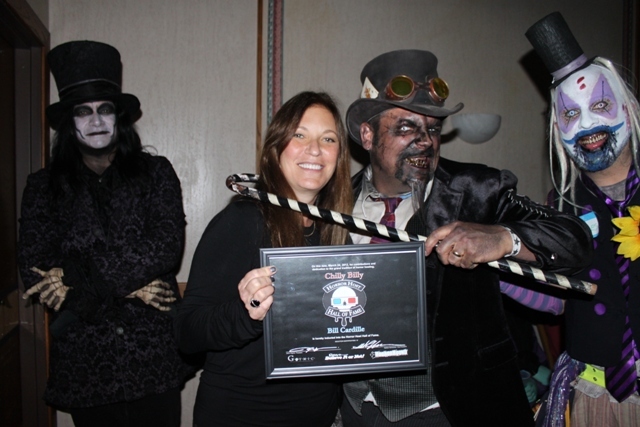 Lori Cardille with the gang from Freakhouse Flicks! This blu-ray release also features commentary by Romero, Cardille, and Tom Savini who did the amazing effects. Savini states that this movie is his swansong and, upon seeing these effects, it’s no wonder. There’s also a great documentary filmed just for this release called “World’s End: The Legacy Of Day Of The Dead,” that features a lot of great behind the scenes moments as well as recent interviews with the cast and crew. It was also nice to see Tom Savini joking around and laughing (something you rarely see him do at convention appearances). I cannot recommend this release enough. It is a must have addition to any horror movie collection! Order your copy HERE! This entry was posted in Big 80's Horror!, DVD/Blu-Ray Review and tagged Billy Cardille, Chilly Billy, Day of the Dead, Diary of the Dead, George Romero, HORROR HOST HALL OF FAME, HORRORHOUND WEEKEND, Lori Cardille, ROCK N SHOCK, Survival of the Dead, The Dead Trilogy, Tom Savini, Zombies. Bookmark the permalink. ← A Torturous trip to the Wisconsin Dells…yes, The DELLS!